American consumers want more convenient, digitally accessible healthcare and technology is the way to get there. Improving technologies such as wearables give people the ability to track their health at home. Personalized medicine means we can get medication specific to our needs and likely reactions, because ultimately, it’s unrealistic to assume that all patients require the exact same chemical compound in their treatment. 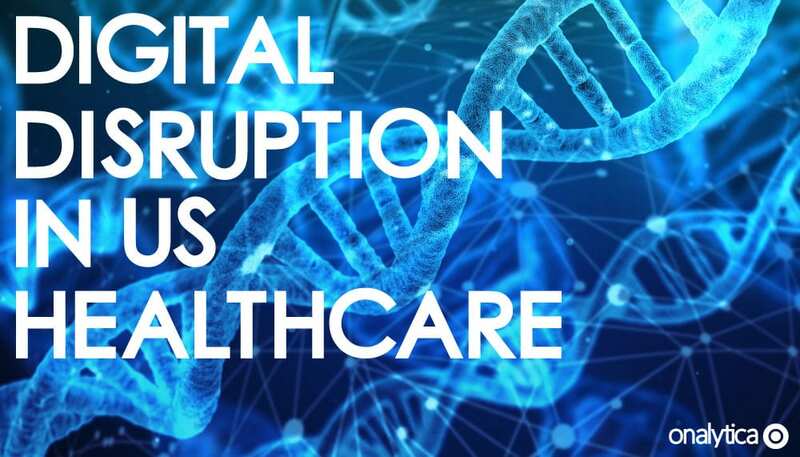 Our latest report looks at digital disruption in the US Healthcare industry. Specifically focusing on the top US healthcare brands by revenue, eight key topical areas within the industry, and the US influencers relevant to each of these. The eight areas focused on are: AI, Blockchain, Remote Patient Monitoring (RPM), Internet of Things (IoT), Personalized Medicine, Robotics, Data Security and Wearables. The healthcare debate drove 95,340 posts among US influencers; the brands analyzed were only involved in 605 of those posts. For a debate being mentioned over 250 times per day over the course of a year, the 20 analyzed brands were only involved in 0.6% of it. Brands can enhance their online presence by involving themselves in these influencer debates and introducing strategies such as employee advocacy. Now, the aim isn’t to start shouting about anything online, aimlessly pushing content all for the sake of getting noticed. Clear direction will not only make your life easier in terms of analyzing progression, but it will help you understand the type of influencer that can help you achieve your goal, ideally a specialist in a specific area that shares the same values as you. AI in Healthcare had the largest share of voice throughout 2018, largely centred around influencers creating and sharing content on how AI can help deliver better, cheaper diagnostics whilst providing the market with advanced analytics. Obviously, AI morphs into a wide range of trending topics so is it any surprise that it’s the most spoken about? Probably not. But this does give brands an idea on the debate topics they should be involving themselves in if they want to make an impact. 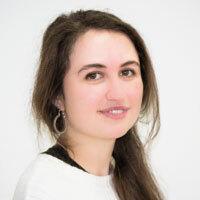 Remote patient monitoring was another topic which was regularly spoken about in 2018. Technology such as RPM can enable quicker, better data and can ultimately improve patients’ quality of life if incorporated in the management of chronic diseases. Looking at the top brands, CVS Health has the highest overall share of voice, being mentioned 14% of the time by US based influencers. Closely followed by Aetna which was mentioned 10% of the time throughout 2018. 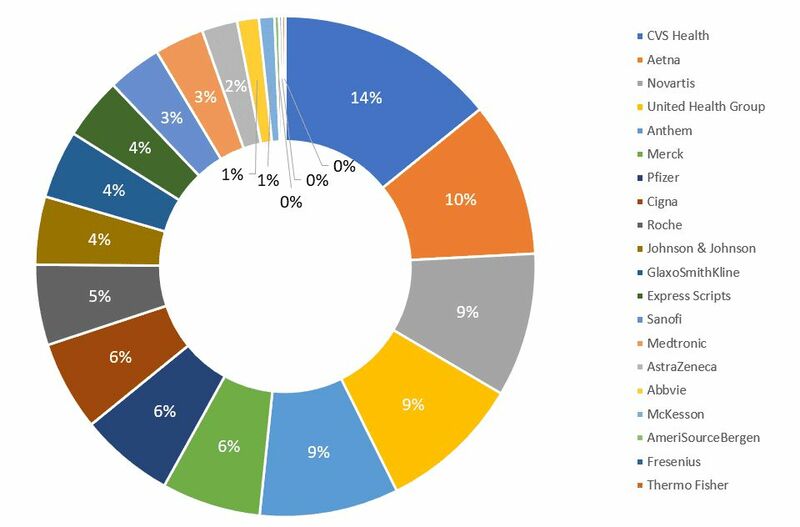 The pie chart below shows all the healthcare brands which have been analyzed throughout the report. We’ve also looked at brand share of voice in relation to each topic, and it’s quite interesting to note how brands are associated with different subject areas. 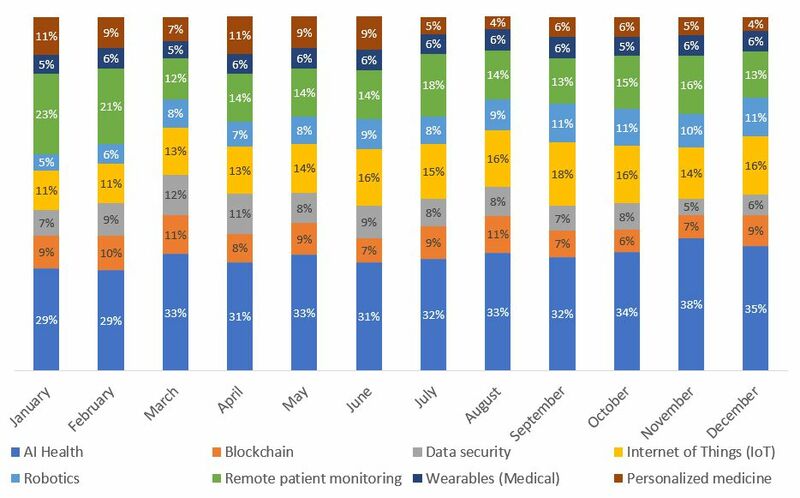 For example, Anthem is mentioned the most in AI in Healthcare, dominating 58% of the conversation, whilst with 64% share of voice the United Health Group dominates the Medical Wearables debate. For brands, this information allows them to see in which conversations they’ve got the upper hand, and in which ones they may not have as much influence. Alongside each key topic, we’ve also included the influencers that have a high topical authority in each specific area. These include influential healthcare practitioners & professionals, influential content creators, wider social influencers & traditional influencers. Why do we need this research? With the evolving market and changing technologies, brands need an online presence, not only to survive, but to retain awareness and credibility. Knowing the top influencers within a space allows brands to get an idea of the people that have a big impact within a specific area. Not only as a way to reach key people, but also a way to enter conversations that they may otherwise be left out of. Fancy getting the full report for yourself? Great! Click the button below. Fill in the form below and we’ll send it your way.